HILL, Sir STEPHEN JOHN, governor; b. 10 June 1809, son of Major William Hill and Sarah – ; m. first 30 Nov. 1829 Sarah Ann Munnings, and they had children; m. secondly 3 Aug. 1871 Louisa Gordon Sheil; d. 20 Oct. 1891 in London, England. Little is known of Stephen John Hill’s early life. He followed his father into the army, becoming a lieutenant in the 2nd West India Regiment in 1828. This affiliation, together with his first marriage to the daughter of the chief justice of the Bahamas, suggests that he may have been born in the West Indies. Hill served with the West India regiment in West Africa, and in 1851 he was appointed governor of the Gold Coast (Ghana). A vigorous official, he tried to promote both education and the participation of Africans in the local administration. Three years later he was transferred to the governorship of Sierra Leone, the senior British administrative post in West Africa. His “embarrassing energy” in attempting to impose order in the colony led him to initiate two territorial expansions that were only reluctantly approved by the Colonial Office. He left West Africa, ostensibly for reasons of health, in 1862. He was then appointed governor of the Leeward Islands and Antigua, succeeding Ker Baillie* Hamilton. 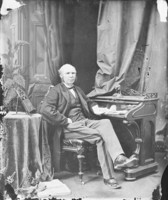 In July 1869 Hill became governor of Newfoundland. He arrived at the start of an election campaign in which the central issue was whether or not Newfoundland should join confederation. He identified with, and did what he could to assist, the confederates led by Frederic Bowker Terrington Carter, but was far less confident of their success than his predecessor, Anthony Musgrave*. Hill was distressed and angered by the anti-confederate victory in November. “The mass of voters in this Colony,” he told the Colonial Office, “are an ignorant, lawless, prejudiced body, the Majority of whom living as they do in Outports in almost a primitive state of existence are unfit subjects for educated and intellectual men to attempt to reason with on the advantages of Confederation. I therefore consider that it was a fatal error to have submitted to such a population the decision of such an important question.” He went on to argue that since the confederates, though in a numerical minority, were “with respect to intelligence, wealth, position and honesty of purpose, in a large Majority,” the imperial government should consider forcing Newfoundland into confederation by order in council, so that its aim of uniting all British North America could be realized. When this suggestion was rejected as impractical, if not impossible, Hill went so far as to urge London to threaten either to cede Labrador to Canada or to make the colony a Canadian dependency. Either threat, he thought, would rapidly reduce opposition to confederation. That Hill could make such suggestions illustrates not only the impatience of the military man with the political process but also his lack of understanding of the nature of responsible government and the role of the governor in that system. (His previous experience had been in crown colonies.) It appears, however, that he soon adapted both to his new position and to the political realities of Newfoundland. Though he made no secret of where his sympathies lay, like Carter and his confederate allies Hill accepted that the results of the 1869 election had effectively ended any possibility of confederation in the foreseeable future. 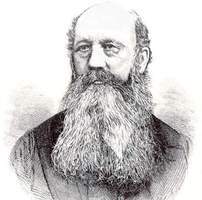 A companion of the Bath since 1860, Stephen John Hill was made a kcmg in 1874. Two years later, after a lengthy illness, he retired from the governorship to live in London. It is probable that he had been sent to Newfoundland to preside over the colony’s transition to the status of a Canadian province. Instead, elderly and genial, he had stayed on to oversee and encourage the colony’s early attempts to establish the economic foundations for the independent course it had chosen. Arch. of the Archdiocese of St John’s, Edward Morris diary. Centre for Newfoundland Studies, Memorial Univ. of Nfld. (St John’s), “A biographical dictionary of the governors of Newfoundland,” comp. Gordon Duff (typescript, [St John’s], 1964). NA, MG 29, B1, Alexander Murray to Sandford Fleming, 13 June 1877. PRO, CO 194/178–79, 183. Evening Herald (St John’s), 23 Nov. 1891. Times (London), 27 Oct. 1891. DNB. Encyclopedia of Nfld. (Smallwood et al.). William Lux, Historical dictionary of the British Caribbean (Metuchen, N.J., 1975), 175. J. D. Hargreaves, Prelude to the partition of West Africa (London, 1963). David Kimble, A political history of Ghana: the rise of Gold Coast nationalism, 1850–1928 (Oxford, 1963). W. D. MacWhirter, “A political history of Newfoundland, 1865–1874” (ma thesis, Memorial Univ. of Nfld., 1963). A. B. C. Sibthorpe, The history of Sierra Leone (4th ed., London, 1906; repr. 1970). A. A. Parsons, “Governors I have known,” Newfoundland Quarterly (St John’s), 20 (1920–21), no.2: 7. J. K. Hiller, “HILL, Sir STEPHEN JOHN,” in Dictionary of Canadian Biography, vol. 12, University of Toronto/Université Laval, 2003–, accessed April 21, 2019, http://www.biographi.ca/en/bio/hill_stephen_john_12E.html.